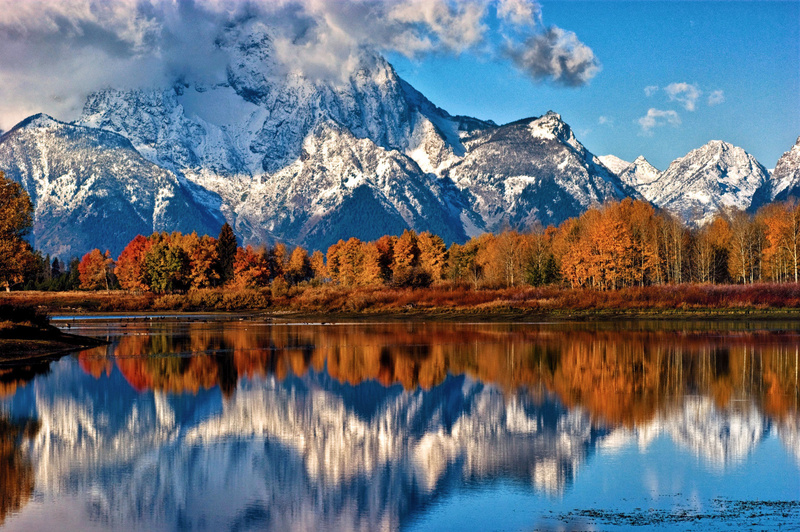 With its summit shrouded in clouds, Mount Moran is reflected in the still water of the Snake River at Oxbow Bend on a cool fall morning in Grand Teton National Park, Wyoming. Incredible place and a wonderful photo. It's definitely one of my favorites. Thanks! Nice image. I grew up in Jackson and totally took it for granted. Thanks! Great (and expensive) place to live. The detail in your shots are amazing Thanks for sharing Brian .